Oklahoma’s weather can sometimes be unstable, changing quickly between hot and cold. On days like these, you may need both heating and cooling in your home. But, if your heat and air company has installed a multipurpose system in your home, is it safe to switch straight from heating to cooling and vice versa? The answer is yes — if you’re careful. When you want to change from heating to cooling or back again, don’t go directly from one to the other. Instead, turn off your system, and wait for the current cycle to finish. Once you hear the equipment stop, wait five more minutes before you switch it to the opposite function. This gives the system’s refrigerant a chance to return to its resting temperature and pressure so it won’t put unnecessary strain on your system. You should take the same approach to changing your temperature settings; do it gradually, giving your system time to rest. The more extreme the temperature change, the harder your system will have to work, which will once again strain the equipment and can lower its useful lifespan. 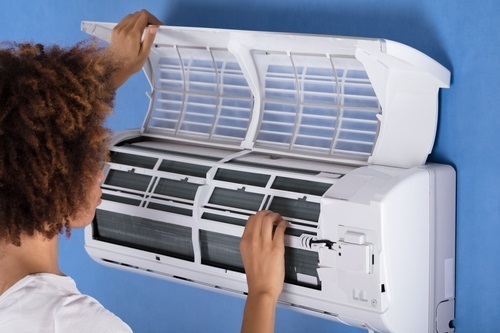 Changing the temperature gradually is the best way to protect your system from damage. If you want to heat and cool your home in the same day, you can. Just be careful to make changes gradually and be gentle on your system. If you do notice that your equipment seems to be straining, turn the system off and call your heat and air company for HVAC service. For 40 years, Bowman Heating & Air in Coweta, OK, has provided honest and affordable HVAC installation, maintenance, and repairs to the area’s residents. This heat and air company’s integrity and family values ensure a great customer experience whenever you call them for furnace or air conditioner service. To arrange a visit, contact this heat and air company at (918) 486-2861, or learn more online.